One of the many library ledgers that formed the backbone of What Middletown Read, a digitization project funded by the National Endowment for the Humanities. Image courtesy of the Center for Middletown Studies, Ball State University. 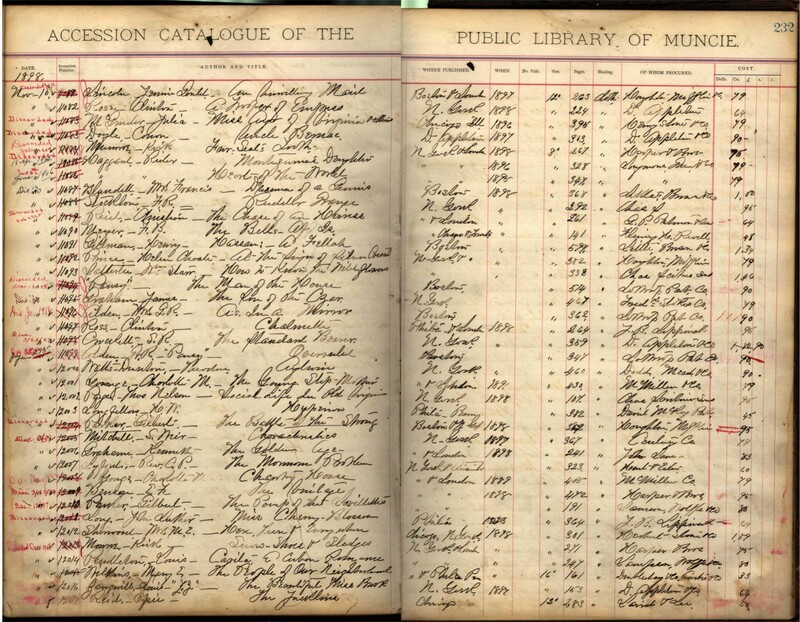 During the Muncie Public Library’s 2003 centennial renovation, Professor Frank Felsenstein came across an untapped resource that would provide insight into American reading, tastes, and habits during the late-nineteenth century: a decade’s worth of library ledgers, recording more than 174,000 loans. With funding from the NEH, Felsenstein and his colleague James Connolly set out to digitize these handwritten records, turning them into an online database that would be useful to researchers from across the country and world. . The homepage for What Middletown Read. The website is used by academic researchers as well as high school classes. Image courtesy of the Center for Middletown Studies, Ball State University. Search results for What Katy Did, showing check-out dates as well as patron names. Image courtesy of the Center for Middletown Studies, Ball State University. The effort was truly collaborative. Connolly and Felsenstein hired 25 students to work on the project over several years, providing them the chance to do real, innovative research while funding their education. 50 others contributed to the project: computer scientists, public librarians, archivists, and English and history faculty, among others. 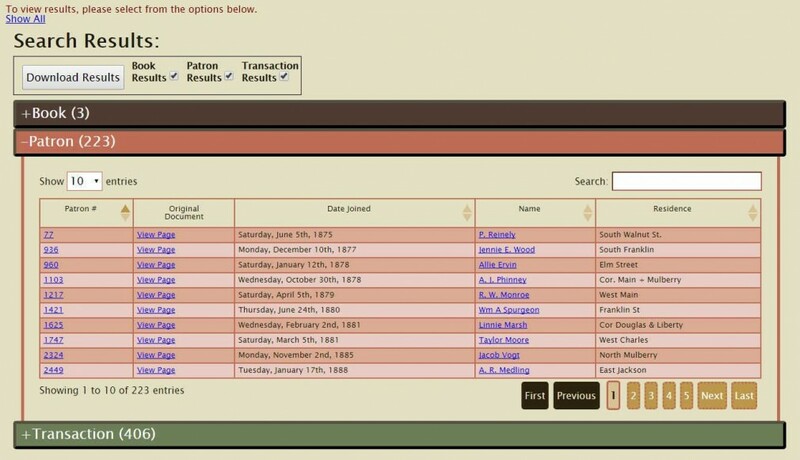 The final database, What Middletown Read, has proven fruitful for researchers and continues to be used in countless studies into the history of reading practices. Connolly and Felsenstein co-authored a book on the project and, with another NEH grant, they convened a conference and have since published an essay collection exploring rural and small-town print culture in the anglophone world. 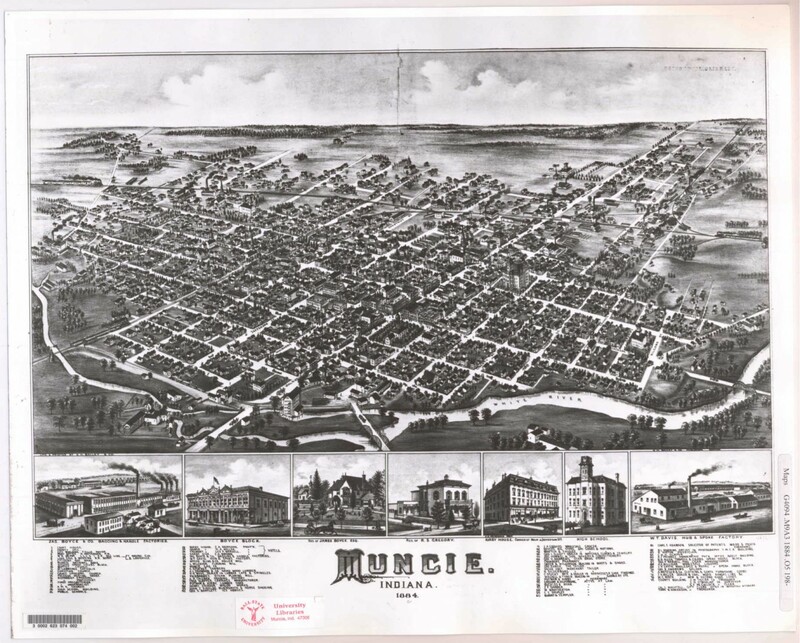 Muncie, Indiana in 1884. Muncie was the subject of the famous “Middletown” studies conducted by Robert Staughton Lynd and Helen Merrell Lynd. What Middletown Read contributes to this body of research. Image courtesy of the Center for Middletown Studies, Ball State University. In Muncie, the database has been especially celebrated. Connolly and Felsenstein have contributed to public programs on the project and local high school teachers use the database in their classes.